Eric Mason woke up. He hurt. In fact, every part of his body was screaming at him in pain. He opened his eyes, slowly got to his feet, and saved the world. Again…The forces of darkness are back. In every city across the planet, primeval monsters and demons are out to reclaim the world mankind has been building for millennia. Bullets and bombs don’t stop them, and there’s nowhere to hide. 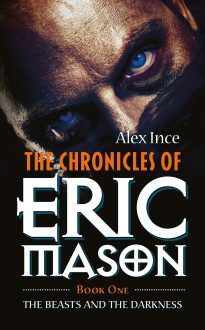 To fight an ancient enemy, the planet needs an ancient hero – and that can only mean Eric Mason. An enthralling story of courage and brutal conflict in a post-apocalyptic world of light and darkness, lawlessness and terror.